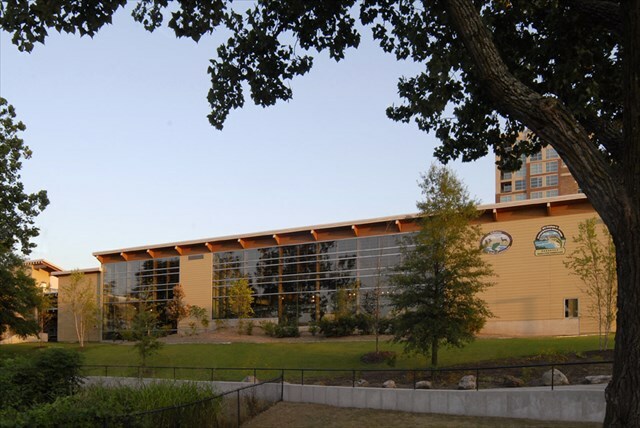 This is the first in a series of 4 geocaches at the Witt Stephens Jr. Central Arkansas Nature Center located in the Rivermarket district of downtown Little Rock. The terrain is an urban park with a great view of the Arkansas River. Expect to venture downtown, park and walk on paved trails. Cache number one is near some old wood that has turned to stone. You'll be petrified with excitement when you find this cache, because you are on your way to discovering nature downtown! In a small container near this old tree lies the information you need for cache number two. The First cache is in a natural looking container. The second and third cache are micro containers. The last cache is an ammo can. Watch out for Muggles! You may have to be covert while opening a cache in this area. Please try to return the cache when no one is looking.